New to womens racing? 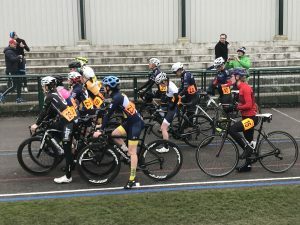 A blog from a new regular racer at Preston Park will help! Its taken me a while to take the plunge into women’s track racing. I love riding my bike around the Sussex countryside but have to admit there is only so much satisfaction to be gained from Strava segments. What has put me off racing has been how complicated it all seems…. The BC membership, the racing license, the points system, the categorisation system, the race etiquette, race tactics and then on top of all that – will I be strong enough, what if I get dropped and so on and so forth. I don’t feel British Cycling make it easy to get started but I did find a friend (thank you Lotte!) that patiently talked me though everything and answered all my (seemingly) silly questions. I also attended a couple of race accreditation courses which can be found on the British Cycling (there are women only sessions too!) and they explained some of the race craft techniques and were imperative in building my confidence. The last hurdle to overcome was the nerves and the ‘am I good enough?’. Due to the smaller pool of women – we tend to get bunched together. That is all categories: Elites, Cat 1, Cat 2, Cat 3 and Cat 4 (Cat 4 being the entry level grade) all the way up to the Lizzie Deignans and Marianne Vos’s of the world at Elite level. Don’t worry – its highly unlikey they’ll rock up at Preston Park though how cool would that be? The only way to negate that is to get more women on the start line ensuring there is a good mix of strength and experience for everyone to fall into a group that suits them. 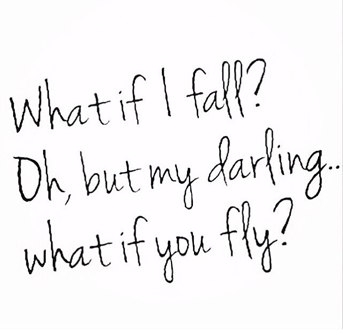 Everyone has the ‘getting dropped’ fear. Even the men and it exists at every level. You don’t know unless you try though, do you? Most of those nerves disappear once the race starts as you’re too focused on riding your bike to think about it. So last Sunday there were 13 women lined up at Preston Park (after the previous two races of only 2 or 3 meaning it was more of a fitness training session than actual race). I can honestly say it was the most fun I have had riding my bike for a loooong time. It was great riding in a bunch, doing your turn on the front, chasing down the attacks, thinking about my position and of course the sprint at the end. The nerves have gone now – as all I recall is fun and seeing lots of women smiling. Find someone that has navigated the British Cycling system before and get yourself set up with membership and a race license. Have a look at the event search on BC and find a race accreditation course and spend an afternoon learning the race skills and etiquette. Practice riding with local clubs and groups and feel confident riding in a bunch and ‘on the wheel’. If you go into your first race with one objective – keep on the wheel. Don’t let that wheel in front of you go and if you do – do everything you can to get back on and if you can’t manage it – then that’s fine. At least you gave it your all. Make sure your bike is in good working order – there would be nothing worse than coming off the course due to a mechanical. Warm up and warm down. Ride around the track before hand (if possible) or bring a turbo trainer to spin in the car park. I am not the most adept at overcoming the nerves but I would suggest that the more you do it, the less nervous you’ll be. What are you actually nervous about? Stay around after and watch the men’s race. I learnt a lot from watching others and discussing the tactics I was seeing. Don’t be hard on yourself and assume you’re not strong enough. You’ll turn yourself into a self fulfilling prophecy. Don’t write yourself off like that. There are plenty of lovely people trying to support and encourage more women into cycling at Preston Park – Wendy Harman who is the womens Rider Representative at SCRL is on hand to answer any queries as is Tim Hill the event Promoter, they can be contacted via the SCRL contact page and you can always ask me too, I’ve only done one race but I’ll try and answer if I can. We need to build a fun and inclusive scene for women and would love to see you. Come along on Sunday 8th April and give it a go. After that, racing moves to Friday evenings. See you then? Track league is almost upon us!